Are you a multi-passionate, multi-talented business woman? Then you are going to love our interview with Miss Modish. 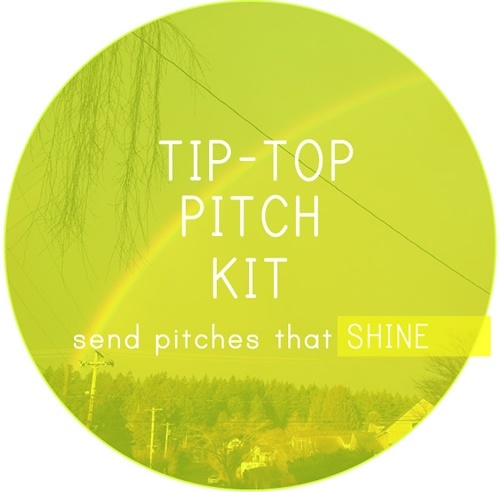 She’s the creator of The Tip Top Pitch Kit we shared with you earlier and also one amazing blogger. But we’ll let her tell you all about herself and how you should embrace all of your interests. In case people don’t know about you and your amazing business, would you mind telling us what you do? Yes, I’d love to! I help solo-prenuers, makers, and artists get the word out about their online shops more effectively and with authenticity and personality! I do one-on-one coaching with indie biz owners called “Mojo Sessions” to figure out their stuck points and create a plan of next steps to take them where they want to go in their business. I offer lots of guidance, support, and perspective to be the helping hand I wish I had when I was just starting my biz. I also work with a friend running an e-course called The Catalyst Course helping creative, smart and busy women who are feeling a little unfulfilled with where they’re at find their spark again and break down the barriers to their most awesome life! It’s super supportive and fun and our next run is happening Aug 13th-Sept 7- we’re very excited, the first one was amazing and felt so rewarding! It’s funny looking back at how many career changes I’ve made over the last 6 years since starting my blog, but I think that constant evolution is a key factor in finding what you’re made for. Only by trying all those things was I able to discover that they weren’t exactly right for me. But it was through ALL of those many varied experiences wrapped up together that formed many of the building blocks for what I’m doing now, which is basically my dream job- it feels like where I’m finally meant to be. My verdict is ultimately, trust your gut. If there’s a nagging voice inside that says, “this isn’t right”, “this isn’t you”, “try something new” by all means, listen to it. Other people’s opinions and expectations don’t matter as much as your own feeling of fulfillment, and I think only through experimenting, trying new things, starting before you’re ready, making decisions others might think are crazy- that’s how you learn who you are, what you want, and what absolutely fills you up. After all of your various jobs and titles, you’ve now given yourself the title, ‘Mojo maker’. How did you choose that one in the end? I tried to find something that in a way describes all the things that I do- writing, speaking, consulting, teaching- on topics from marketing to moving past fear. It all boils down to trying to create more positive energy in myself to share with others, trying to encourage and lift up others to be their most awesome selves, and create their most awesome businesses with a bit of everyday magic, so to speak- real strategies and real advice that really helps. And I don’t know, somehow “mojo-maker” felt like the best way to say all that in just two words, hah! As an editor for a top blog and an independent PR rep, what’s one piece of advice you could give someone trying to pitch their work to an online media? Be real. Be polite. Be on target. Those are the keys to making an actual connection with an editor that will help you grab their attention. Don’t think formal and professional- you’re a creative person and so are editors. Just pretend like your pitch email is a conversation with a friend of a friend that you’re meeting for the first time- you feel like you kind of know them already so you can be comfortable but still not too familiar, talk to an editor how you’d talk to them. Keep it short and sweet and make sure you’re on target with what you’re pitching- get familiar with their blog and a feel for whether your work could be a good fit before you write them! I could go on and on really 🙂 For tons more insight into the editor’s perspective and what they’re looking for, as well as sample pitches that worked and lots of tips I learned from both pitching my work and fielding submissions to my blog, you’ll love my Tip-Top Pitch Kit, everything you need to pitch with confidence and personality! Obviously your business has grown and changed a lot over the past few years. Was there ever a time when you feared you’d have to go back to a 9-5 job? And how did you overcome that fear? There honestly has never been a time I’ve been scared of going back to a 9-5. (I’ve been self-employed for 5 years now, wahoo!) That’s not to say I’ve never had to hustle to scrape up some last minute rent money. Oh no, I’ve been there. I’m just confident that this is my path. I haven’t considered going back to a day job because I don’t do well answering to someone else. It feels so confining and the freedom I have now is something I wouldn’t trade in lightly. I’d rather go on a writing bender to create more work than ever, come up with new interesting ways to market myself, come up with new ways to get paid! I’d rather push myself beyond the limits of what I think I’m capable of, then do something I already know is not meant for me. I guess having faith in myself and my abilities is what has kept the fear at bay, for me. You have to trust yourself! 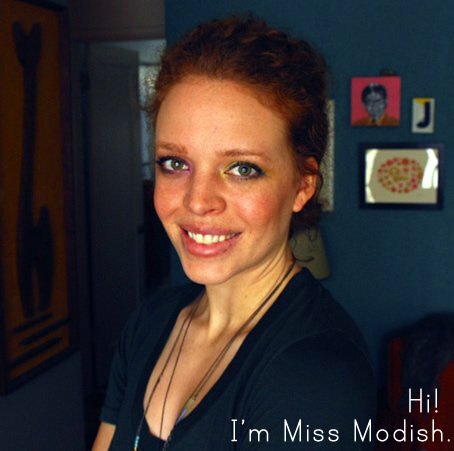 Don’t forget to check out her site and blog over at MissModish.com!